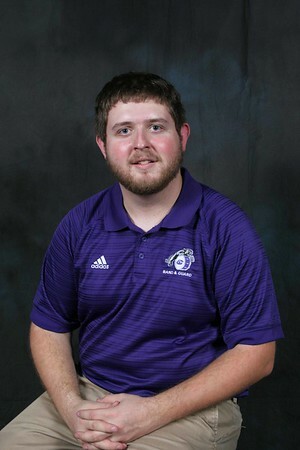 Cody LeBlanc is currently in his 7th year as the Webmaster & Media Specialist for the College Station High School Band, College Station Middle School Band, and Cypress Grove Intermediate Band Programs in College Station, Texas. Cody graduated from A&M Consolidated High School in 2011, where he was a member of the Mighty Band from Tigerland and the Loading Crew. Cody was the Tiger Band Historian from 2007-2011, taking many pictures and scanning old photographs to add to the archives. During his senior year, Cody sought to bring back the Loading Crew tradition of wearing white overalls (a tradition that had been around from 1967-2004). Cody returned after graduating to be the photographer of the Tiger Band for the 2011-2012 school year. In February 2012, Cody became the webmaster for the new College Station High School Band that was scheduled to open in August 2012. He spent 2 months building a website for the band, as well as setting up email communication for parents and students. The website was made public in April 2012. In August 2013, Cody became the webmaster for the College Station Middle School Band. He redesigned the website and made it public in September 2013. In August 2014, he became the webmaster for the Cypress Grove Beginner Band and the College Station High School Choir. In his free time, Cody likes to watch football (especially the Dallas Cowboys), play pool, go bowling, go fishing, and most importantly, spend time with the love of his life, Courtney. Currently, Cody is attending Sam Houston State University in Huntsville, Texas to pursue a B.A. in Communication Studies with a Minor in History. He will graduate in Summer 2019.